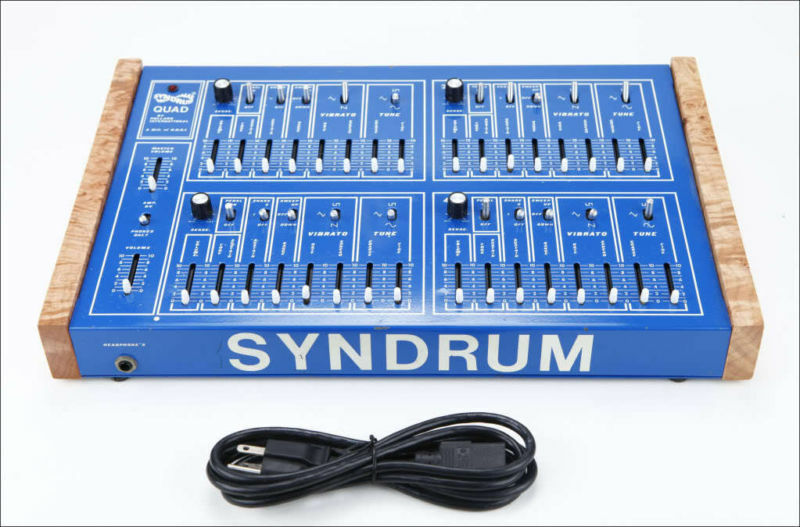 SYNDRUM Quad Vintage Analog Custom...for sale! This listing is for a nice Syndrum Quad with custom wood sides. The unit is 100% functional and in nice cosmetic condition as well. Included is a really long (I think it's 15 or 20 ft) breakout cable in order to trigger the 4 modules. It was wired into my patchbay so you will just need to add 1/4" connectors to the 4 ends. I had it custom made because the original trigger cable was short and always got tangled. 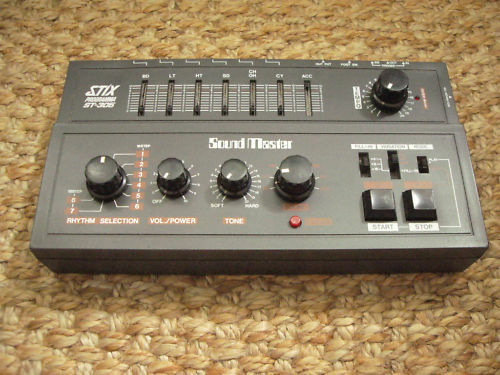 Sound Master Stix ST-305 Analogue Drum machine. A great little drum machine made in 1981 which was a direct answer to the Roland Trs. It has a very strong mellow thump sound to the kick and general all round analogue warmth which can be controlled from the sweep of the hard to soft tone control to bring its presence out, it sounds great. It also has control trigger in and out, one a constant clock pulse and the other programmable via the accent. The real beauty of the is machine is it has a direct output for every drum sound. I have only ever used this drum machine with batteries as I never wanted to risk using a power supply or giving it the wrong voltage or impedance, but I’m sure it would work fine with a power adaptor, but as I say it’s a lovely machine and I wasn’t prepared to take that risk and the batteries last for ages anyway, the batteries are used for its memory also. It does come with its original manual but it’s in German you may be able to find a UK manual on line somewhere. 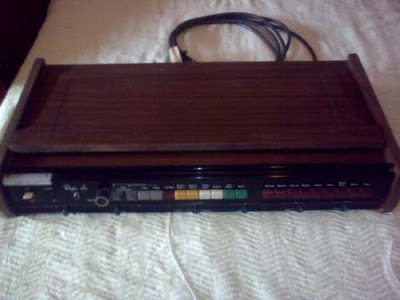 Please note, personally it took me a bit of time to get my head around it to program, and it has to be programmed to get any sound out of it, but once up and running it is a very unique drum machine and I’m sure there’s not many of these around. 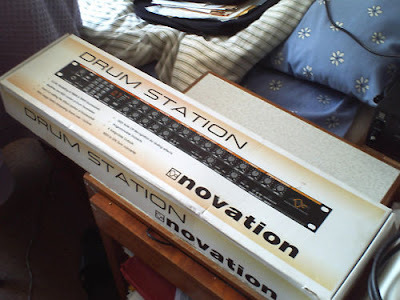 DRUMSTATION 808 909 drum emulation...for sale! Comes with the manual and original power block. Ask me if you need a MIDI CABLE OR AUDIO CABLE. Does a brilliant emulation sof the sounds of the classic Roland 808 and 909 drum machines, and all sounds are tweakable via front panel knobs and most by midi. It uses ASM modelling. It has a stereo output and six individual outs which allow you to bring out the kick, snare etc on separate channels for specific processing. 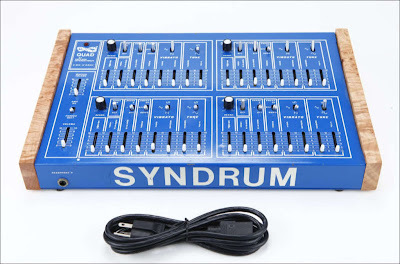 Used by Orbital and Hardfloor among others. GO HERE FOR MORE INFO & TO BID ON THIS ITEM! RARE Vintage Ace Tone Rhythm Ace FR8L....for sale! 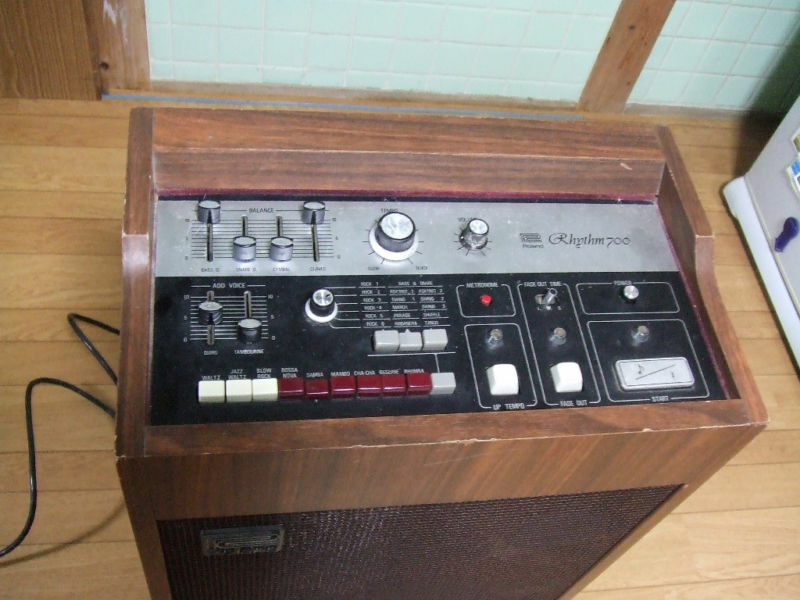 Vintage Ace Tone Rhthym Ace FR8L 'Rhythym Producer' analogue Drum Machine. These machines are becoming more and more rare, and this one is in full working order. 'Ace Tone' were founded in 1960 and went on to become a name we all know these days, Roland. This unit was launched around 1974, and dates from that time. It's housed in an elegant wooden cabinet, which has a couple of minor scuffs and marks, but for something that's almost 40 years old, and was heavily used in its earlier days, it's done not badly. The only thing 'wrong' with it, is the screws have been removed from the folding music desk! The Music desk is there (as can be seen in the pics) and will need 6 small screws to re-attach it. We have a sensible reserve on this unit, or you can buy it now! There is only this one, and once it's sold, it's sold. As it is such an instrinsically valuable piece of musical history, we would prefer it to be collected, but will courier at cost. Note, these usually sell for between £130 and £160 and the reserve price reflects this. If someone uses the 'buy it now' button we will however, include carriage if required. 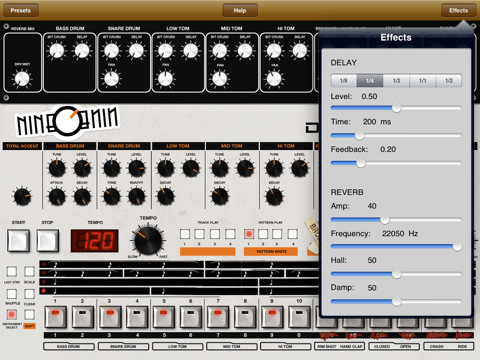 The “nineOnine” for iPad is a simple sample-based emulation of Roland’s classic TR-909 drum machine. With its looks and feel the “nineOnine” is drawing close comparison to the original hardware device. The “nineOnine” is not only emulating the sound but also the logic of programming and saving rhythm patterns giving you that extra blast from the past. CLICK HERE TO GET THE APP ON iTUNES!